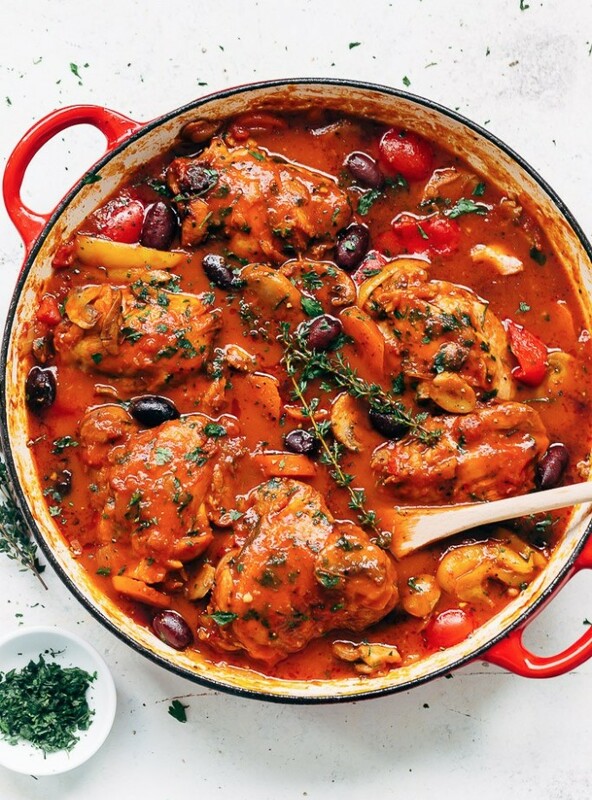 This flavorful chicken in a rustic tomato-based sauce can be cooked on the stove-top, in the oven, or in a slow cooker. Side note: Does anyone else remember the Chicken Cacciatore episode in Bewitched? Want more Dinner Party recipes? Serve with a crusty baguette, this one pan dinner might just be your new weeknight fav. 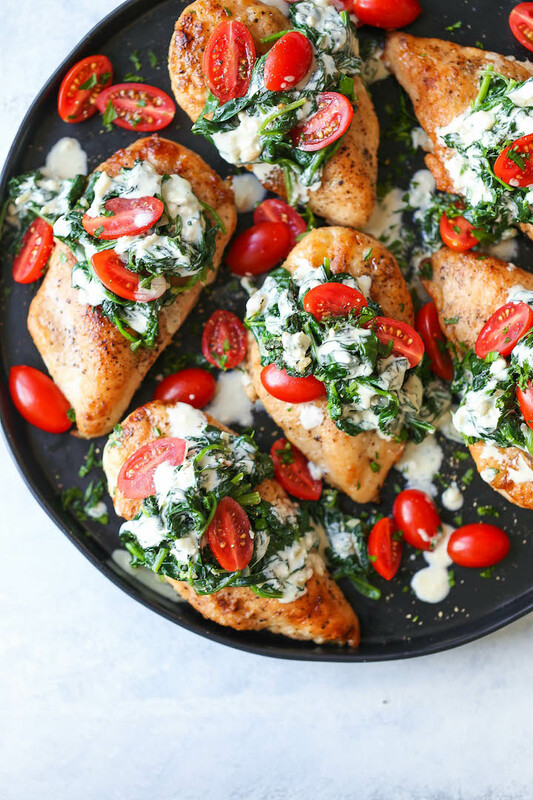 We've Got 50 more Easy Weeknight Dinner Recipes! 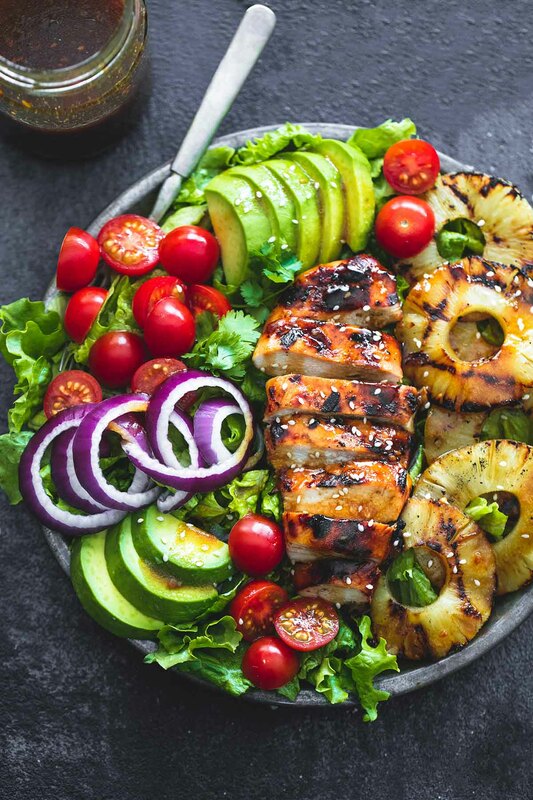 Grilled Pineapple needs to happen more often! 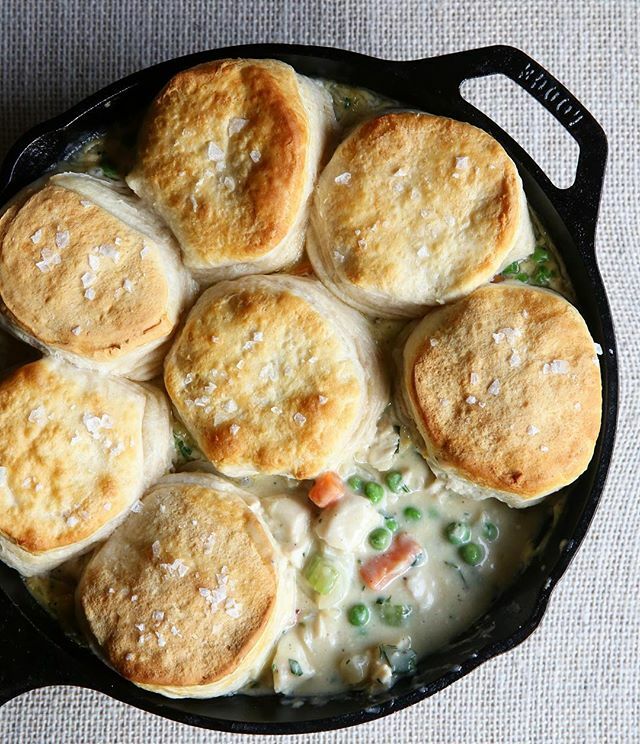 The ultimate winter comfort food gets a makeover with a fluffy biscuit topping. 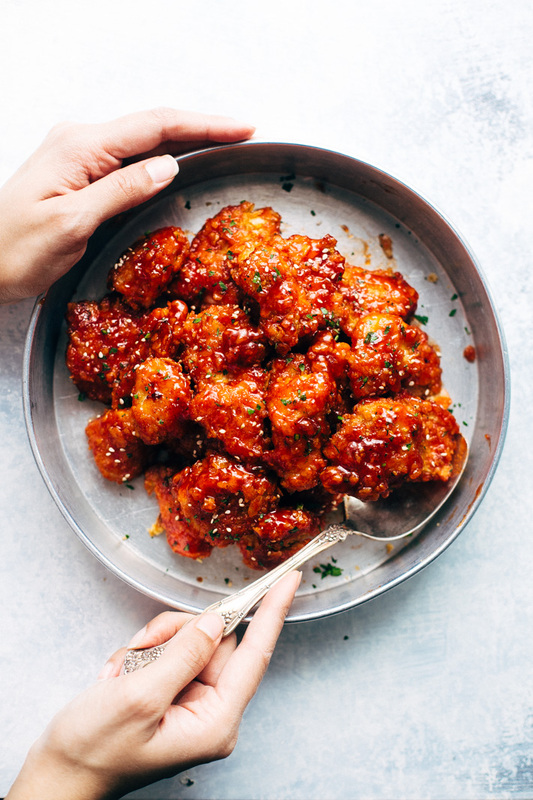 Yep, Here are 50 more Game Day Recipes For You! Serve with sushi rice to make these a bit more substantial. P.S. They pack-up well for lunch! Now that is one bowl of lemony goodness. 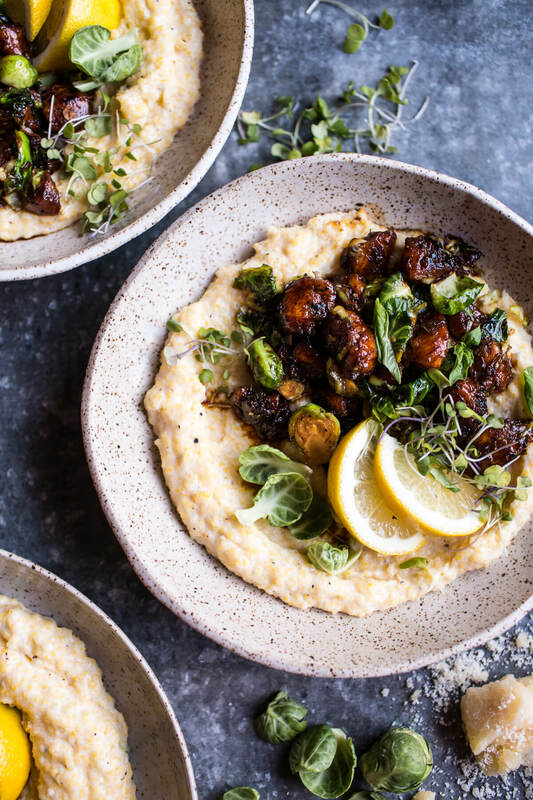 Love Brussels Sprouts? Yes, then head over here for more recipes! 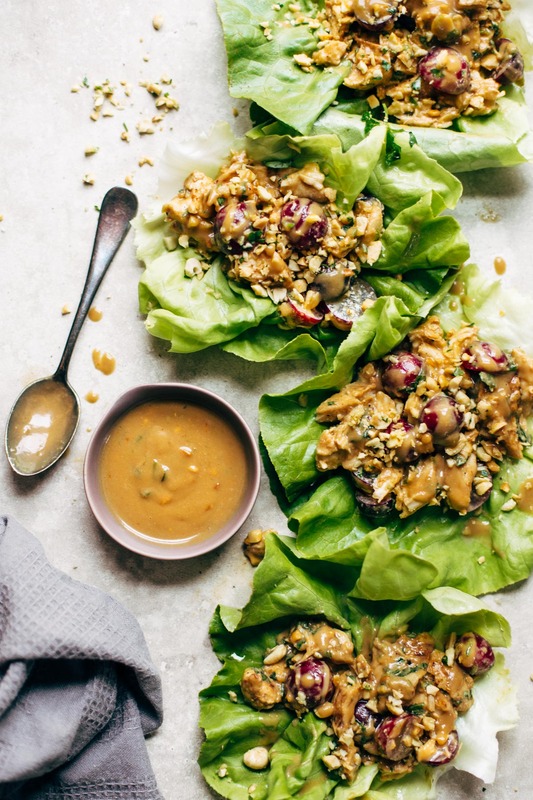 Skip the takeout and make this at home! 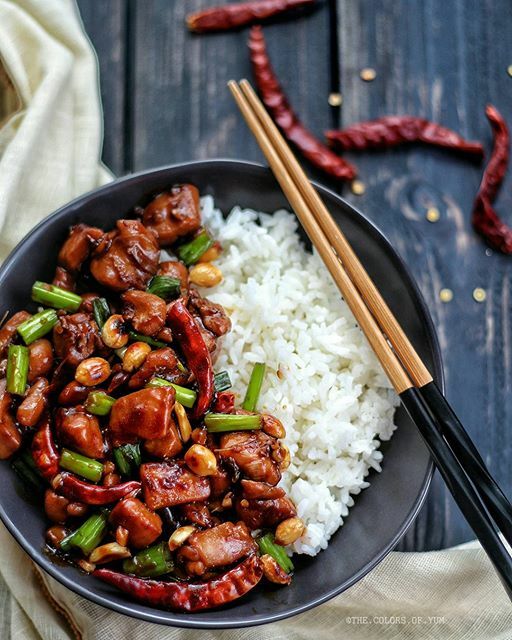 Yep, Here are 50 more Chinese Inspired Recipes For You! 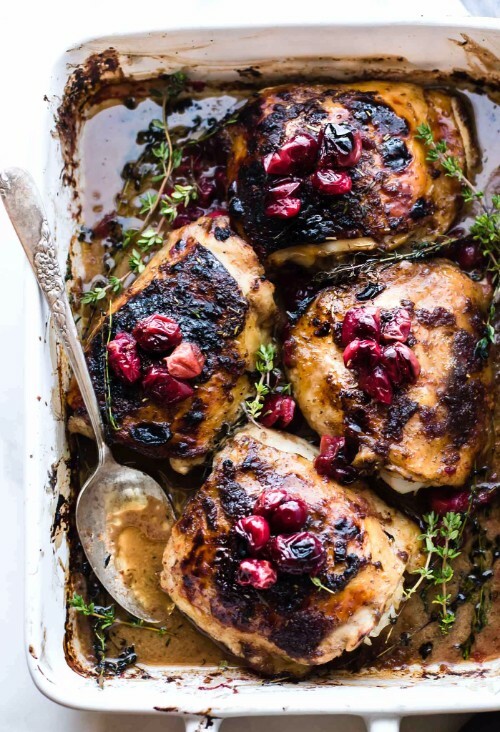 Cranberries are not just for Thanksgiving. Keep them frozen in the freezer all winter to enjoy in dishes like this one! Get 50 More One Pot Meals Here! 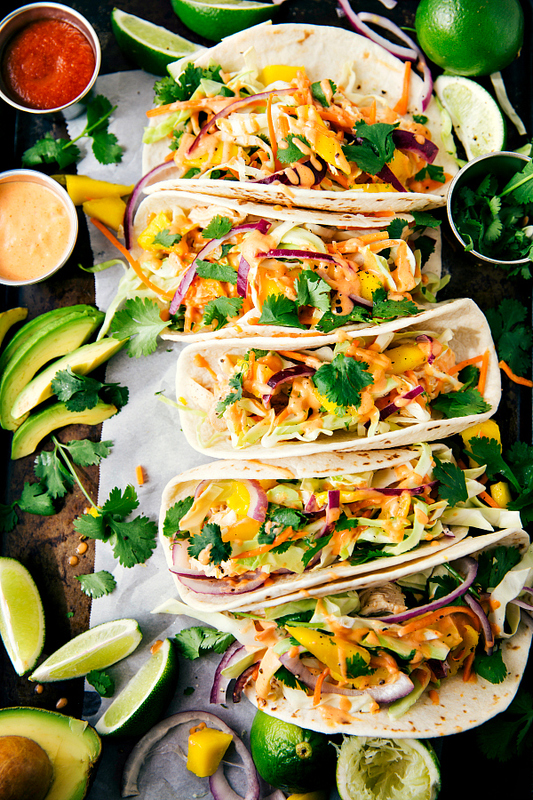 Love Tacos? Get 50 More Recipes Here! 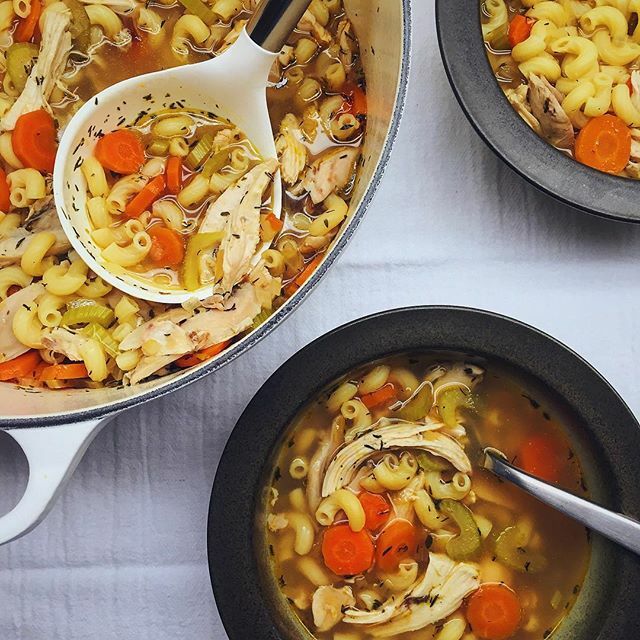 You can never go wrong with classic Chicken Noodle Soup!